7 Kids and Us: Arla Foods Dairy Products- Made With No Weird Stuff! Arla Foods Dairy Products- Made With No Weird Stuff! My kids are in love with cheese. They always have been. They are up for trying any brand, any where, any time. When we had the chance to sample some of the Arla products, we were all excited! 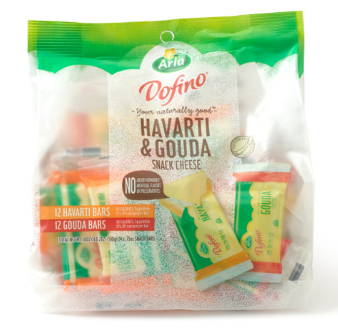 My kids favorite for sure was the Arla Snack Cheese which comes in three varieties – Havarti, Gouda and Medium Cheddar – in convenient packages containing eight individually wrapped .75-ounce servings. Arla Snack bars are a delicious, better-for-you snack, ready to go with you wherever you go! They all seemed to like the Havarti the best, which of course, Havarti is one of my favorites too, and the Gouda made an awesome grilled cheese sandwich! 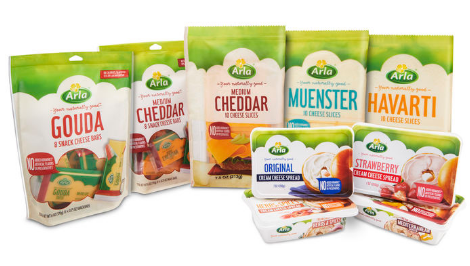 The Arla Sliced cheese was my VERY favorite. The sliced cheese comes in Gouda, Havarti, Mild Cheddar, Muenster, and Fontina. 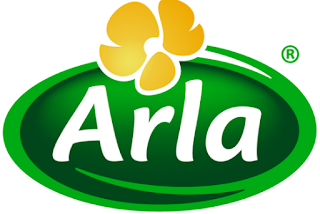 With no added hormones*, artificial colors or preservatives, you can feel good serving Arla Cheese to the whole family. Naturally delicious cheese is made from one of the world’s best foods – milk. Alra works side-by-side with their dairy farmers and know the path their milk has traveled from the farm to your fridge so you can feel good about what you and your family are eating. I used the mozzarella on a pizza I made for the kids, and they INHALED It! Ok, So I am kind of weird when it comes to cream cheese. I favor one brand over everything else and am kind of snobby about it, because I LOVE cream cheese, and it has to be good! Alra Cream Cheese Spread definitely comes in at a tie with my favorite brand. Some of the flavors (like the blueberry and mediterranean) win hands down. I like to make an alfredo sauce with cream cheese, milk and parmessan, and it was actually SO much better with Arla, and knowing that it has less than half of the ingredients and a better nutritional profile than other common bagel spreads, Arla Cream Cheese is a simple, wholesome and delicious spread you’ll feel good about buying for your family. 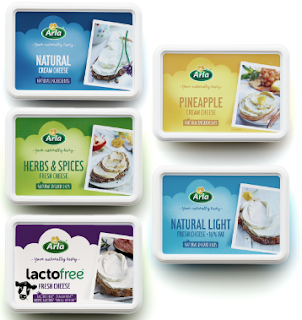 Arla Cream Cheese is free of added hormones*, stabilizers, thickeners, artificial flavors and preservatives. I really enjoyed the Alra Cheese products it has definitely become a must buy on my shopping list. 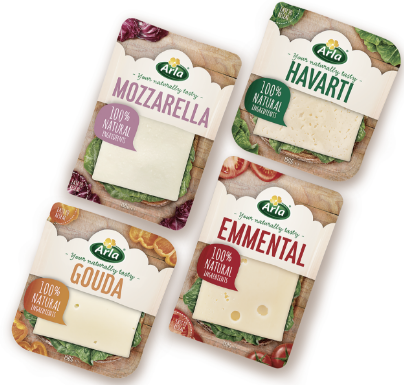 You can learn more about Alra Cheese by visiting their website here.